Notes: Ovaries are heart-shaped (bilobed); leaves are toothed. 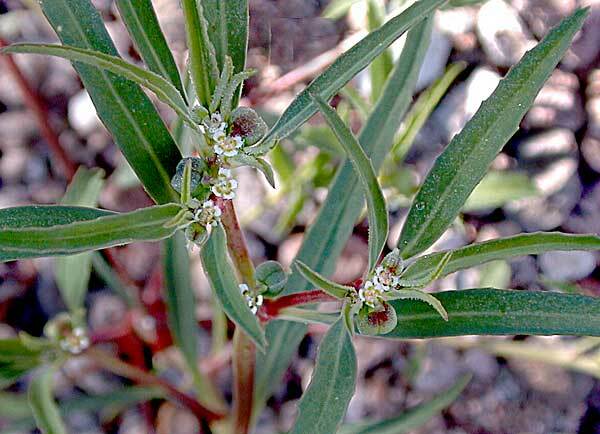 More than 3 dozen species of Euphorbia in Arizona. Squareseed Spurge plant profile on the USDA Plants server.